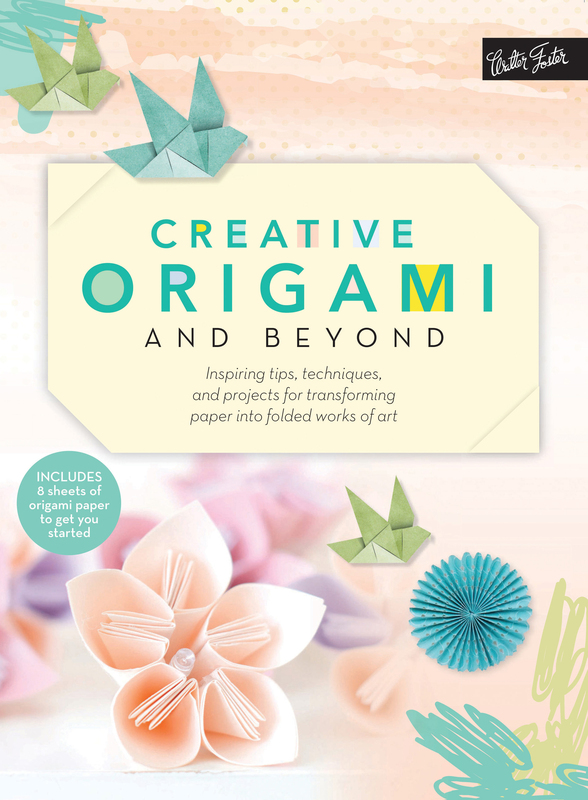 Creative Origami & Beyond takes traditional origami to new levels, guiding readers through an exploration of dynamic ways to fold paper, including prompts, tips, exercises, and engaging step-by-step projects demonstrating both traditional and contemporary origami methods. Packed with prompts, tips, exercises, and engaging step-by-step projects, Creative Origami & Beyond takes readers through a dynamic exploration of the traditional art form. A centuries-old art form, origami has taken on new depth in today's art world, influencing trends in fashion, interior design, exhibition art, and more. Creative Origami & Beyond takes this traditional art form to new levels, guiding readers through a dynamic exploration of numerous ways to fold paper. This inspiring, interactive project book demonstrates both traditional and contemporary origami methods - from working with unique materials and creating custom origami papers to crafting amazing works of art. A general introduction to origami and an overview of basic folding techniques sets the foundation for the book, which is divided into six engaging sections, including modular origami, giant origami, tiny origami, wet origami, and more. Each chapter, taught by an expert origami artist, features clever exercises and prompts to inspire and spark creativity, while step-by-step origami projects for creating wall art, jewelry, decorative objects, and more, help turn origami novices to pros. Jenny Chan is an origami teacher, artist, and designer based in New York City. Her work has been featured in local newspapers, Good Housekeeping and more. Jenny has been the first place winner of The Craftys in the papercrafts and scrapbook category, which celebrates the best in crafts and DIY and is judged on technical expertise, creative expression, and innovation. Jenny offers free craft tutorials on her YouTube channel, home to millions of viewers since November 2013. Visit www.origamitree.com to learn more. Paul Frasco is an American origami designer focused on representational and animal designs. Accurate proportions take a back seat to bringing emotion to the final design and creating a fun and accessible folding sequence. Paul's work has been featured in public spaces, museums, and galleries around the country. He has created models for such clients as the American Museum of Natural History and Stony Brook University. Visit www.wetfold.com to learn more. Installation artist, art director, and workshop leader Coco Sato travels extensively to showcase her unique Giant Origami installations and run workshops at festivals and events. Her innate feel for artistry and craftsmanship is evident in all of her projects. Her work is deeply rooted in Japanese culture, yet the simplicity of her designs makes them timeless and versatile. Stacie Tamaki is a lifestyle and travel blogger, foodie, wine lover, girl-gone-geek, glamper, photographer, and nature lover. Formerly based out of the San Francisco Bay area, she now travels the country in her tiny glamper (glamorous+camper) aptly named The Glampette. Stacie launched Tinygami, an art, lifestyle, and travel blog in 2015. Visit www.stacietamaki.com or www.tinygami.wordpress.com to learn more.